Ever want to run on a runway at O’Hare? Well, this is your opportunity. On Saturday, October 20th the Chicago Department of Aviation and United Airlines are partnering to host a 5K timed run and a 5K fun run/walk. The website indicates this is on an active runway, which sounds pretty cool to me. After the race there is additional entertainment for the whole family. All the proceeds from this event go to the Wounded Warrior Project, a great organization. I just signed up for the fun run, this morning. I haven’t done a race at all this year, mostly because of this, so I figured I’d start slow. I read about an equivalent run at JFK earlier this year and I was pretty excited about the idea. Now this great idea is in my own back yard! I cannot wait. I think this event will sell out, so if you are interested, you should sign up right away. Let me know if you sign up and we can all meet up at ORD. It seems like this is the season for my friends and colleagues to dramatically change their dietary habits. Several friends are going Gluten-free and a colleague has gone Vegan. You even see Gluten-Free Menus everywhere now. I was recently in Toronto for work with my Vegan co-worker. Let’s start by saying this Vegan use to be the most voracious carnivore around. While in Toronto we ate at Barberian’s Steak House – the place we visit every time we are in Toronto. This is really an old world steak house. I was concerned that my colleague wouldn’t really be able to find any vegan fare. Boy, was I wrong. He explained to the waiter his dietary restrictions and without missing a beat the waiter opened the menu and started explaining all the alterations that could be made to the menu items then he started explaining all the items that the kitchen could make off the menu. There was no consulting with the kitchen, the waiter took control and owned the table. The Vegan got a huge healthy salad, an entree with both cooked and raw vegetables and a baked potato. Now I’m not saying that a Steak House doesn’t have these items anyway, but the way this was handled was top notch. I wouldn’t expect the Steak House to have too many Vegans popping in for a meal. My point: Don’t let your dietary restrictions stop you from going out to restaurants with friends and colleagues. You just have to ask for an accommodation, it is extremely common now. If a local Steak House can accommodate a recent Vegan, you’ll be surprised what other restaurants can do. Although, I wouldn’t go reverse and ask a Vegan restaurant to accommodate your wild carnivorism. 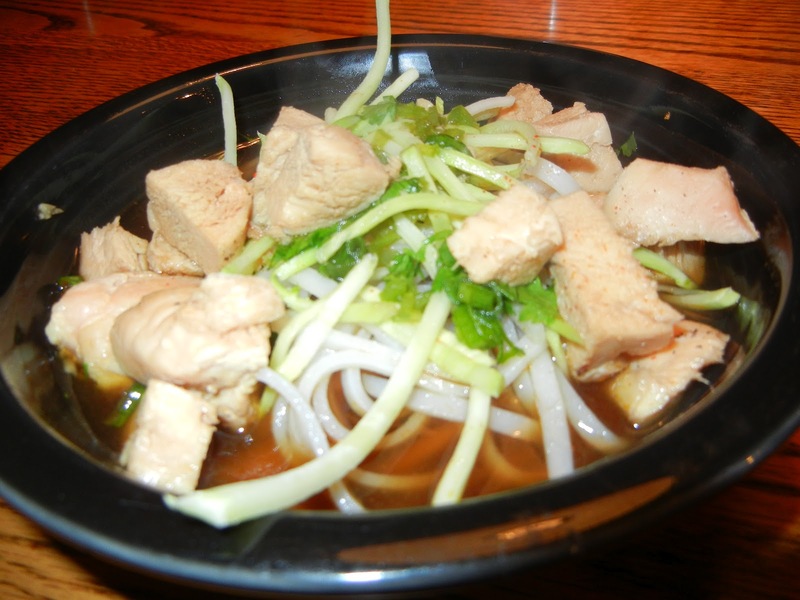 Do you have dietary restrictions that keep you from dining out? Do you find restaurants to be quite accommodating? 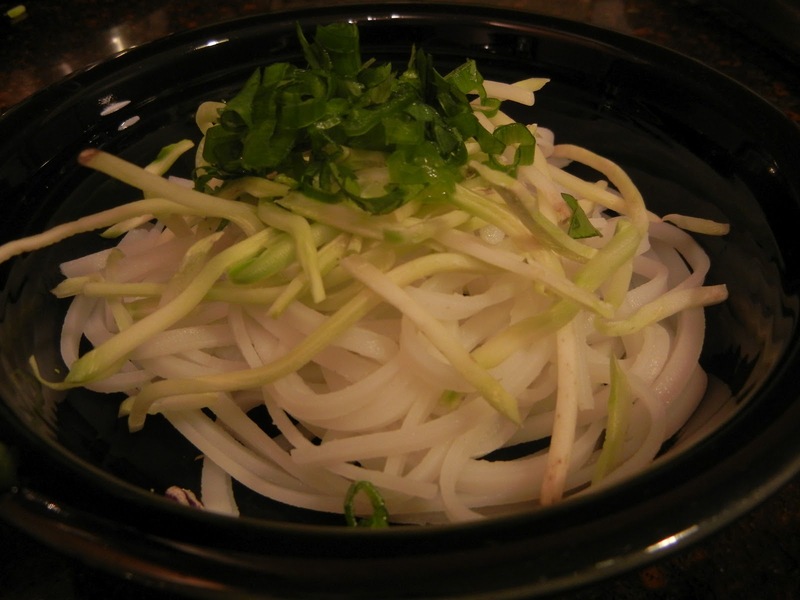 Are you seeing the dietary restrictions becoming more and more common? I love London! Seeing this City with the buzz of Olympic Fever was great. 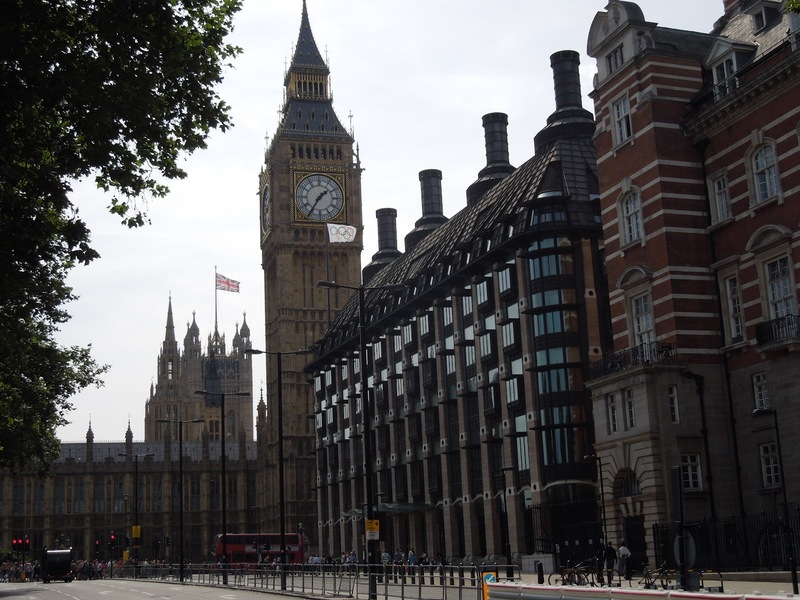 While in College I spent 5-6 weeks in London. I got a good feel for the City and saw a ton of the touristy things in January 2000. I didn’t feel obligated to run around like a wild man trying to see everything in just 48 hours. I woke up Saturday morning (22 hours after my arrival at Heathrow). I had a quick bite to eat with my friends who were hosting me and I decided to pop down and take a walk along the river Thames. I took the Jubilee Line down to the London Bridge station. 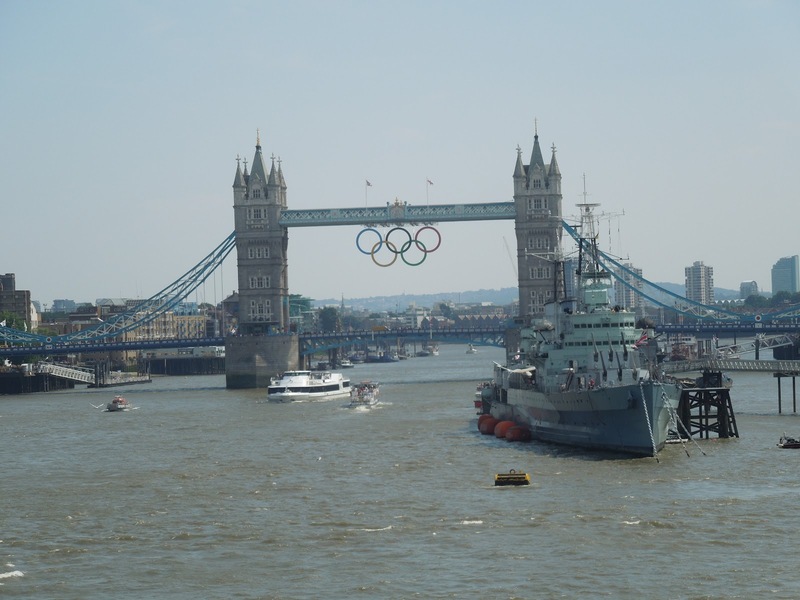 My plan for the day was to see the Bridge with the Olympic Rings, then I’d walk across the river and make my way to Big Ben, eating lunch along the way then hope back on the Jubilee Line and go to Wembley Park for the Football Game. While in College, I often ate at Pizza Express and I had intended on eating here again – just for old times sake, not because it was a destination. Unfortunately, each Pizza Express I came across was closed. Such is life. I stood on London Bridge and took a picture of Tower Bridge – such a quintessential London landmark. This was even a greater treat with the Olympic Rings flying high. I debated on popping over to the Tower of London and being an uber-tourist again, but thought better of it — since I really only had about 2 hours of site seeing time. I continued walking along the north side of the Thames – along the river walk. 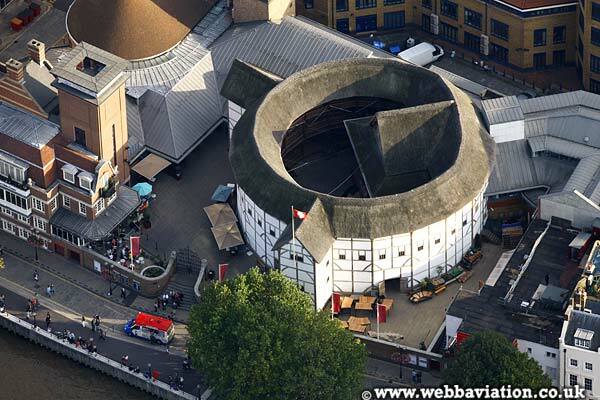 I passed by the rebuilt Globe Theater, then I came across the Eye of London. 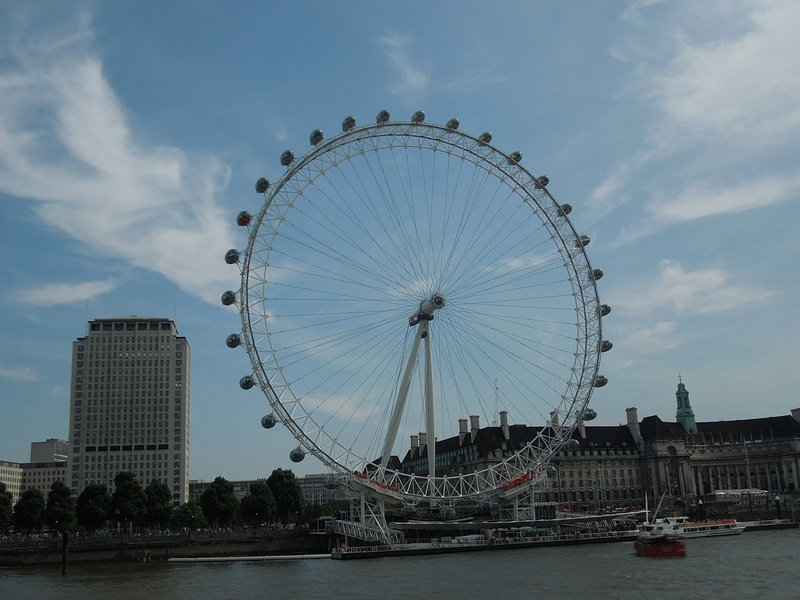 When I visited in 2000 the Eye hadn’t opened yet. — it actually opened about a month after I left the UK. While, I don’t care for heights, I do think this is someplace I’d like to visit and take a ride. I didn’t do it this time, again, because I didn’t have a whole lot of time to kill. I really had forgotten how far this walk was. In my mind I figured it would be about 30 minutes allowing for time to stop and take photos and to really enjoy the unexpected London heat. This 2.5 mile walk around the River took me just about an hour. I managed to make it to Big Ben and saw a beautiful view with both the Union Jack and the Olympic flags blowing in the wind. Such a great, once in a lifetime view. By now, it was 14h00 and the game would start at 15h00 and the trek from Big Ben to Wembley would take about 40 minutes. I decided to head up and spend a bit of time at the Olympic shops outside of the Stadium. I figured there would be some Olympic tchotchkes that I could bring back to some friends and colleagues. I hopped back on the Jubilee Line and was heading Northwest the 13 stops from Westminster. Then I decided that I wasn’t quite ready to go to the game. I wanted a beer at a pub along the way. I hopped off at the very next stop, which happened to be Baker Street. For those of you unfamiliar with the Baker Street station, when you exit you are in a very touristy area and are just a few feet from 221B Baker Street — Sherlock Holmes’ House. I walked around the block and found a nice little pub and ordered a pint. I sat at the bar and drank my beer for about 25 minutes, then headed back to the Jubilee Line and worked my way back up to Wembley. 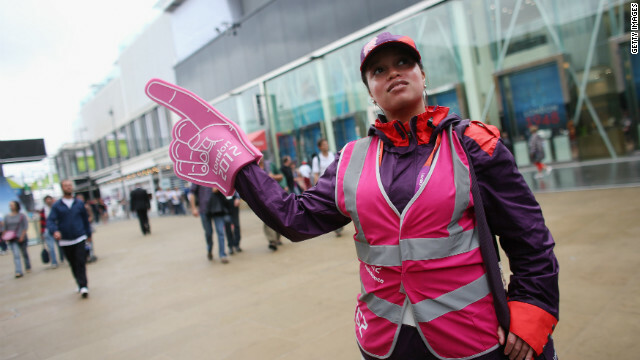 There was one thing that London did very well during the Olympics was the “Pink People”. Outside of the major tube stops and various attractions one would encounter people who were wearing pink clothes (a jacket, a windbreaker or a shirt). These folks were equipped with maps and timetables — they were City Customer Service people. I did stop off at Baker Street and asked a couple of questions: 1) How does it take to get to Wembley (which I already knew) and which Tube Line is the best? and 2) What pub do you recommend within walking distance from here? Both answers were quick and accurate. I found out later that most of these Pink People were actually volunteers. How great would it be if London (or Chicago or New York) would have these volunteers to help visitors? Did you do some non-Olympic related tourism while in London? When visiting the City what are your go-to locales? When sitting on the Tube (or the subway, the El, the Metro, Max, or BART) do you get an urge for a beer and just hop off and find the first place around? If you do, does that mean you are an alcoholic? 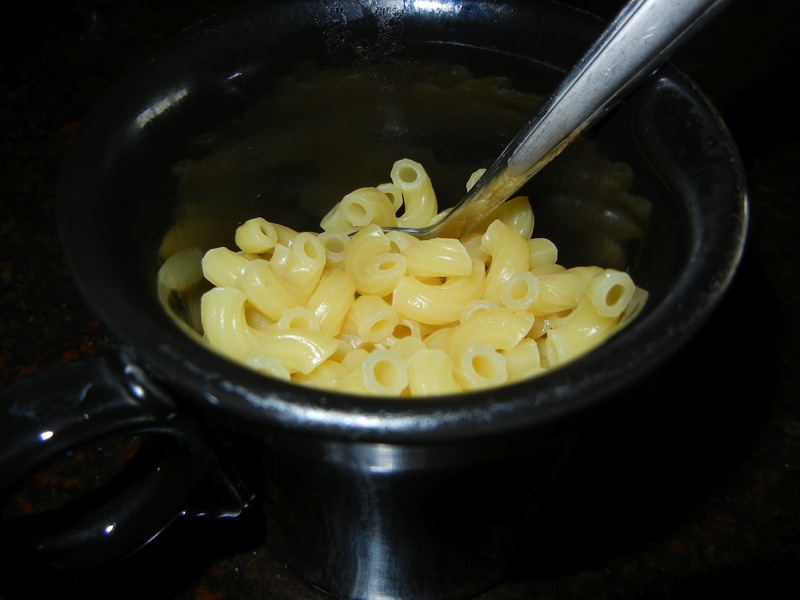 Lifehacker posted an article about creating an individual macaroni and cheese in a coffee cup…in the microwave. The point is to make a non-processed individual serving as a quick side or as a way to feed a craving. You can buy the microwavable individual serving mac and cheese in the store, but it’s all processed and chemical driven. I like mac an cheese, but never fix it because it takes too long to make a good one and the blue box stuff is just crap – in my opinion. Let me also tell you that until I bought my condo in 2009 I didn’t even own a microwave. I was without a microwave from 2001 until 2009 and was perfectly happy. I still don’t use a microwave much, but at least I have one now — I gave into the modern American requirement (actually, it came with the condo, I didn’t request it). Back to the matter at hand. 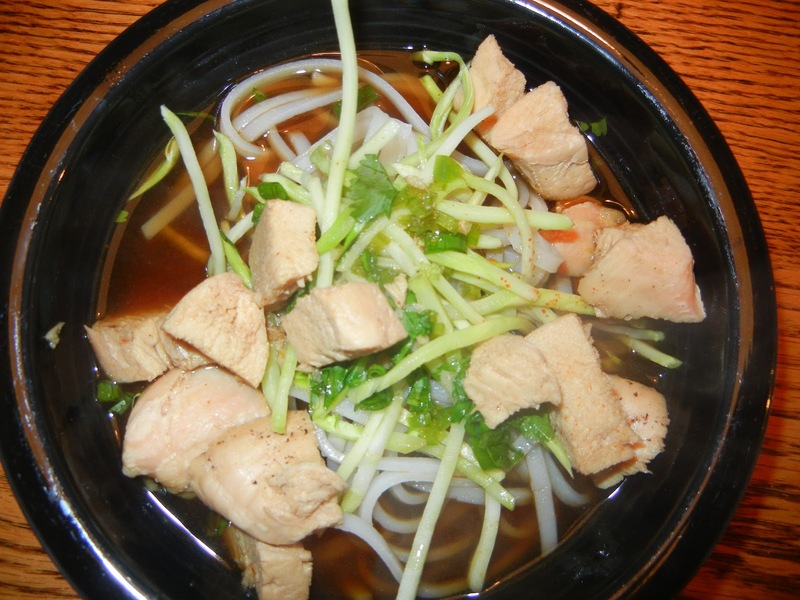 When I first saw this recipe, I wanted to try it immediately. Unfortunately, I didn’t have macaroni. 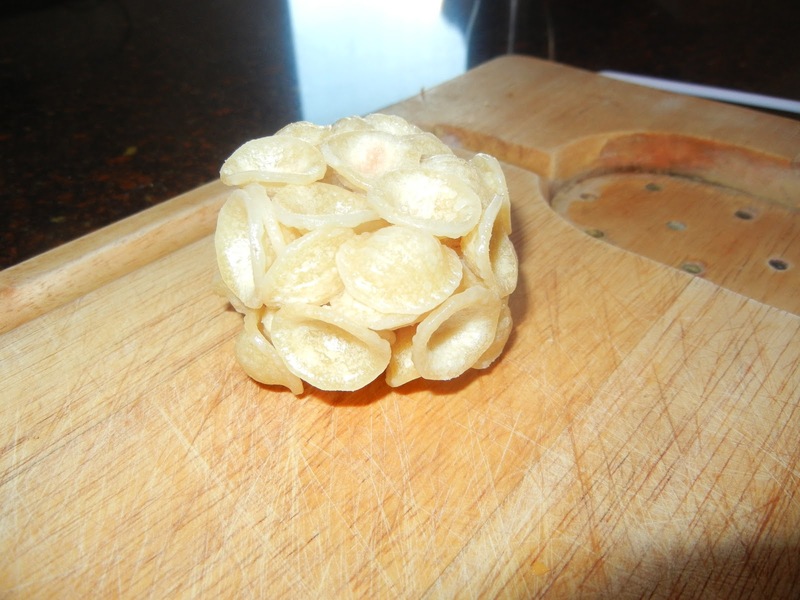 The smallest noodle I had was orecchiette. Let’s just say using orecchiette doesn’t work. It just turns into a noodle brick. See! Today I tried it with actual macaroni. While the recipe works pretty well, in my mug and my microwave, I had to add about 1/4 cup more water after the second two minute cooking window. I didn’t have shredded cheese, but I did have a couple slices of cheddar, which I crumbled up and put in the cup. I also added just a splash of soy milk and stirred. Definitely needed to add a bit of salt and pepper, too. Other than that, I followed the recipe exactly. 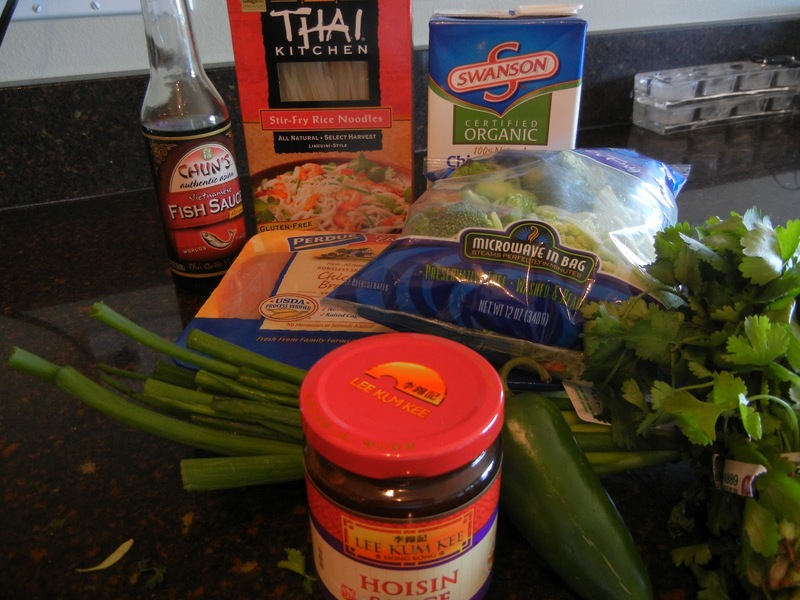 Have you tried recipes from Lifehacker? 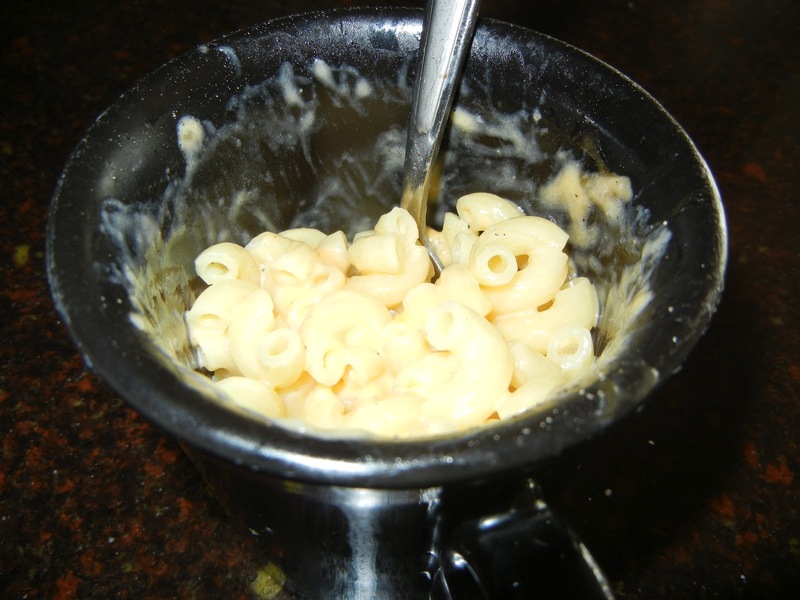 Do you ever crave mac and cheese – and if so, how to you deal with it? How often do you use your microwave? Do you have an irrational hatred of the microwave, like I do?